Posted on March 27, 2019 at 11:14. Ted, W3TB gave a presentation at the March WCARES Monthly Meeting on Windom antennas. Ted discussed the use of Azimuthal Equidistant maps for antenna planning and aiming, gave a demonstration of modelling the Windom using the EZNEC demo and discussed building the Windom. 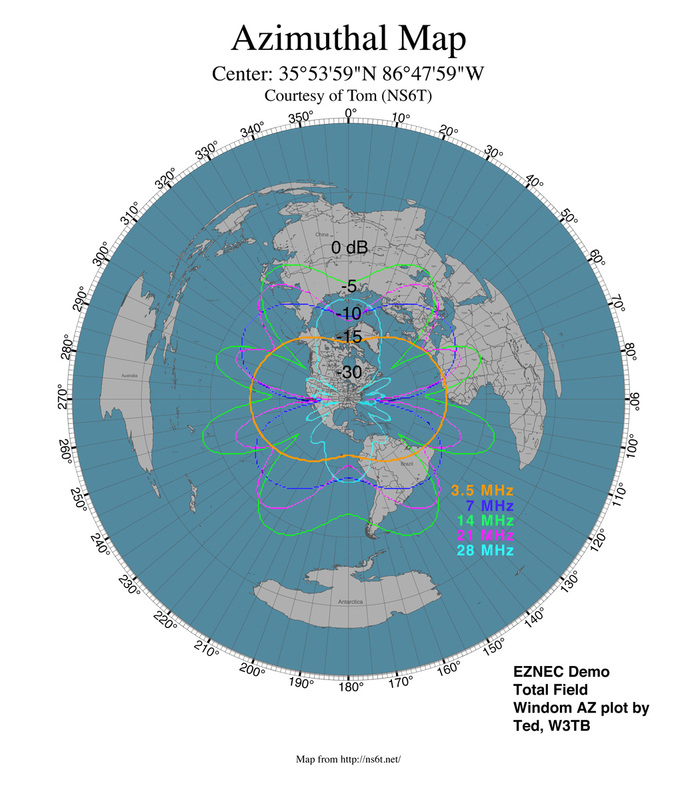 Additionally, an image combining the Franklin azimuthal map and the antenna plots as shown above is here.